GLASGOW, July 30, 2014 - Steven Kukuna Kari of Papua New Guinea celebrates after a successful lift during the men's 94kg final of weightlifting at the 2014 Glasgow Commonwealth Games in Glasgow, Scotland on July 29, 2014. Kari won the gold medal by a total lift of 349kg because of his lower bodyweight after weighing in 110g lighter than Simplice Ribouem of Australia. 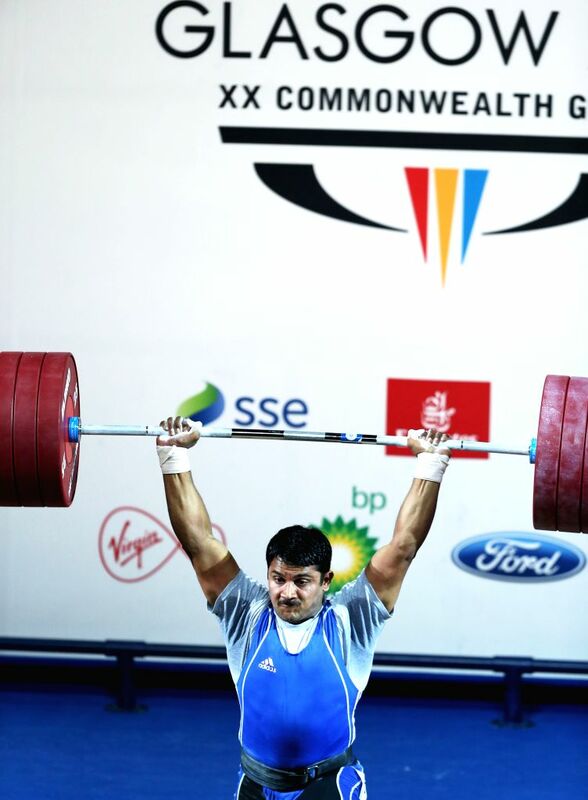 Chandrakant Mali of India competes during the men's 94kg final of weightlifting at the 2014 Glasgow Commonwealth Games in Glasgow, Scotland on July 29, 2014. 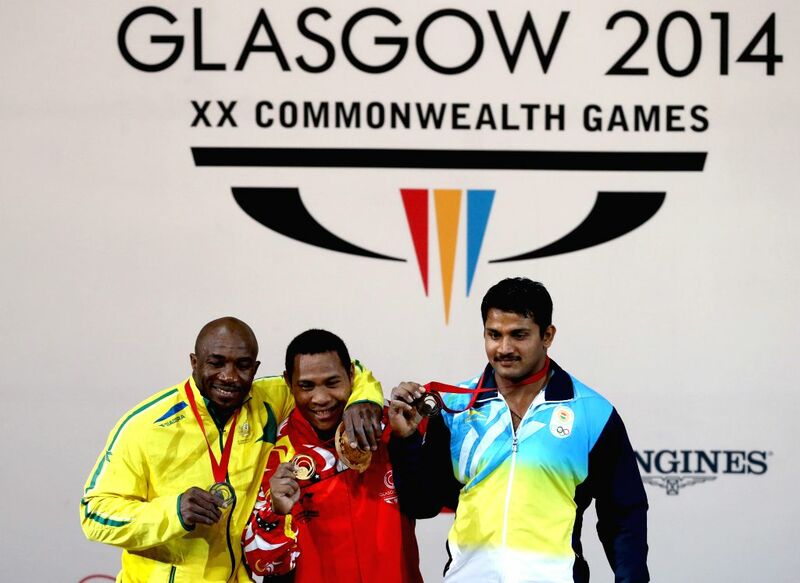 Chandrakant Mali won the bronze medal. Medalists pose during the awarding ceremony for the men's 94kg final of weightlifting at the 2014 Glasgow Commonwealth Games in Glasgow, Scotland on July 29, 2014. 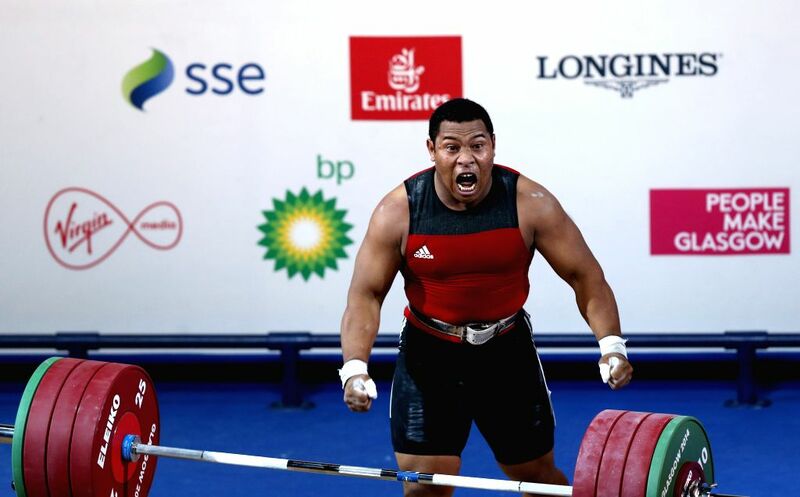 Steven Kukuna Kari of Papua New Guinea won the gold medal by a total lift of 349kg because of his lower bodyweight after weighing in 110g lighter than Simplice Ribouem of Australia. Jul 24, 2014Sachin Tendulkar launches National CSR Campaign "Shuddh Paani - Swastha Bharat"